Today, a consumer’s journey may begin with an online search, but it may end up in a purchase at a brick-and-mortar store. This ever-increasing multi-channel shopping trend poses a few unique marketing and sales challenges for retailers. To overcome these hurdles, marketers had to realize the importance of collecting offline as well as online behavioral data. Thus, began the use of ROPO, a new pinnacle of multichannel commerce. Let's dig a little deeper into what ROPO is and how it can affect your brand. ROPO means Research Online Purchase Offline. You may also hear people referring to it as ROBO, or Research Online Buy Offline. It is nothing but a consumer behavior model. It correlates the online behavior of a consumer with their offline purchase decisions. In other words, consumers often search uses blogs, forums, websites, and social media to look for a specific product. But, they purchase it at the nearest brick-and-mortar store. As a result, businesses have to promote their brand on both, online and offline channels. At first, the idea of researching a product online and buying it offline seems a bit absurd. However, when you look at the big picture, you will understand why the ROPO phenomenon is on the rise. Before the internet, word-of-mouth was perhaps the only way to learn about different products from your friends and peers. Today, however, people often check out social media and online forums to read the reviews of a product, with 85% of consumers trusting online reviews as much as personal recommendations. According to a recent GetApp Lab report, almost half of the consumers (49.1%) prefer to research products online and make a purchase offline because they prefer to read reviews of the products before buying them. No wonder ROPO seems to be trending. Consumers are increasingly using their mobile phone to shop locally. Smartphones have made local search easier for consumers as they can find local businesses on the go. According to a recent research report, mobile devices alone will influence $1.4 trillion in local sales by 2021. The third most common reason is the touch-and-feel factor. In a physical store, consumers can try merchandise, especially beauty and fashion products before buying. This approach is less time-consuming as you only buy the product that fits and suits you. In the case of online purchases from a cosmetics ecommerce website, chances of a misfit are higher. You may also need to wait for weeks for an exchange. If you leverage the ROPO factor in your digital and offline marketing efforts, your sales will increase substantially. However, connecting the dots between consumers’ online and offline behavior is not that easy. Shopping cart abandonment is one of the biggest headaches for online marketers. It not only affects your sales, but also undermines your eCommerce SEO efforts. Usually, when customers abandon a shopping cart, eCommerce stores send them follow-up emails, trying to convert them into buyers. What if the customer has abandoned your shopping cart to make a direct purchase in one of your offline stores? Wouldn't it be a waste of time and resources following up after such customer to make the same purchase online? That's why you need to collect consumer behavior information from your offline stores and tie it up with your online behavioral data. So, if according to your data, the customer has already purchased the item from your store, you can continue sending them post-sales emails instead. One of the easiest ways to track consumer behavior, both, online and offline is through loyalty cards. Almost all businesses have loyalty programs. All you need to do is to create loyalty cards that your existing customers can use to shop both, online and offline. You will know in an instant if a consumer completed an abandoned purchase in one of your stores. Better yet, you can try using an all-in-one Point-of-Sales (POS) and eCommerce system. The primary benefits of having such a system include having a single inventory that can sync products between both channels, a database that stores consumer information in one place, and ability to track multichannel consumer behavior from one user interface. As you know, most people will turn to a brick-and-mortar store because they want to make an instant purchase, try the product, and avoid the lengthy exchange procedures. So, offering online solutions in this regard can encourage them to complete their purchase on your website. 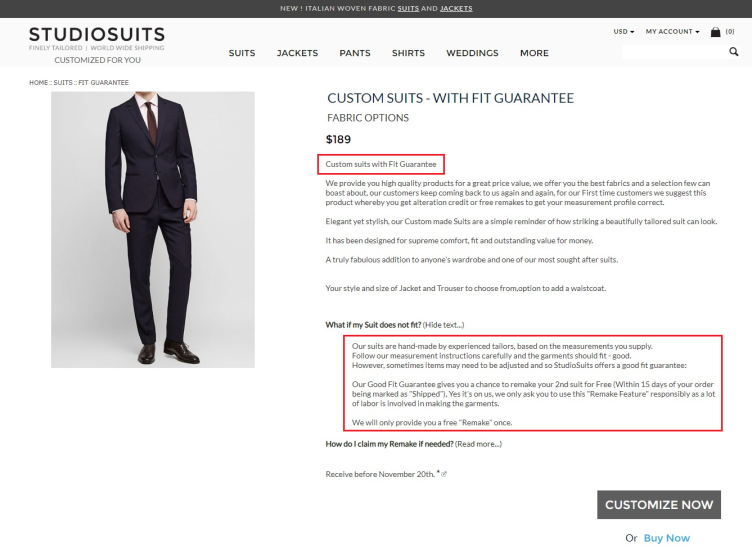 For example, Studio Suits, an online store selling customized tailor-made suits, not only offers a fit guarantee (based on measurements provided by you), but also remakes your second suit for free. They have measurements guide to help you provide the most accurate measurements in the first place. Just like this online site, you can also include a fit guarantee, easy, free, and quick returns, as well as speedy and free shipping. You can also create fit quizzes, provide measurement guides or online fit tests to help consumers find their best fit. The more confident they feel buying online, the less likely they are to step into a physical store. While a fit guarantee can instill some confidence, it can’t provide users with the touch-and-feel benefit of in-store shopping. One of the best ways to make this happen is to use Augmented Reality (AR) on your ecommerce store. AR applications can visualize and animate the product, making it easier to understand how it will fit and how its features will benefit consumers. Swedish conglomerate, IKEA has developed an AR-based application to help consumers buy from their furniture online store. You can use the IKEA app to scan products from its furniture catalog and see how they will fit in your home virtually. So, you can buy a new sofa without leaving the comfort of your old one. 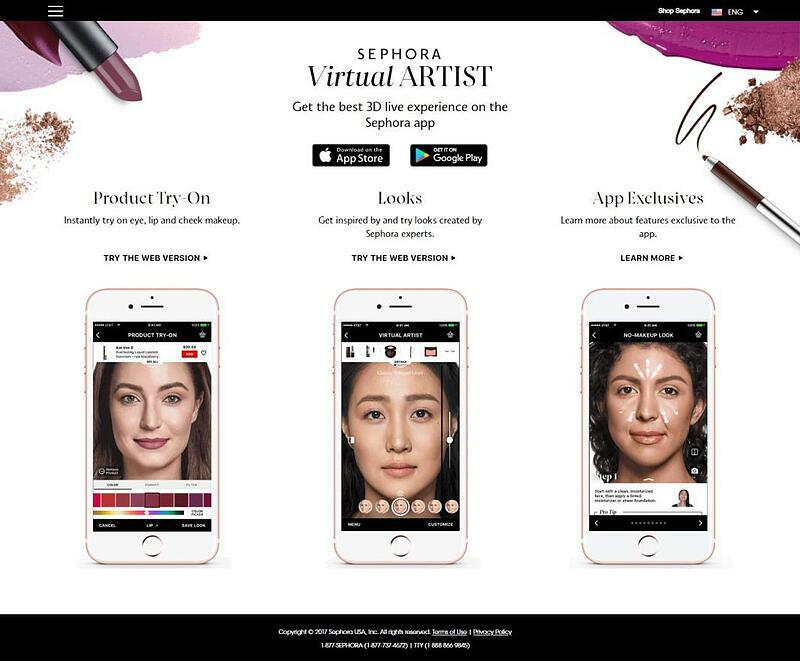 Beauty brands, such as Sephora, have also created Virtual Artist app using AR technology. Virtual Artist allows you to try different makeup looks virtually. All you need to do is to take a picture and upload it to Sephora’s website or mobile app. You can browse different makeup products and check out how those look on you. This trick surely can save you a trip to the nearest Sephora store. Similarly, TapPainter allows you to superimpose your home walls with different colors using AR. It is one of the best interior paint color visualization apps. Instead of holding your paint chips against the wall, it provides you with a more realistic way of knowing how the paint will look. You can enter a color code from a paint swatch or choose a color from a specific brand or use colors of your own in this app. Despite your best efforts, consumers will continue to research online and make the purchase offline. As a result, keeping track of how many people are taking the ROPO way is essential. Digital marketers have access to plenty of data. To make sense of this data, you need in-depth analytics. You need to collect information from your website and offline stores and find a correlation between the two. If you have all-in-one Point-of-Sales and eCommerce platform, things will become a lot easier. You will need to modify your data analytics metrics. For example, you can calculate how much time elapsed since your consumers were issued the loyalty card and used it to make an offline purchase. You can also calculate the time interval between the online product research and consequent in-store purchase or the product category that often requires a ROPO approach. Further, you can use traditional demographics such as age, income, gender, and location to create a broader picture of consumer behavior. Try to include your loyalty card system, web-based guarantee, electronic receipts (online and offline), and other digital and in-store points of contact into your data analysis. Facebook and Google advertisements are two of the best ways to spread the word about your brand online. Thankfully, both digital marketing systems now allow you to track your offline conversions. Using Offline Conversions feature, you can track down the transaction occurring in your offline channels after the consumers have clicked on your Facebook ads. You can also track email opens and webinar signups using this feature. It works for all Facebook Lead Ads. You can use Facebook’s native offline event manager or applications developed by Facebook partners such as Salesforce, Marketo, or Zapier or the Offline Conversion API to connect your CRM. Similarly, using the Google Ads Store Visits feature, you can estimate the influence of Google advertisements on in-store purchases. However, it works if the consumers have turned on the location history. You will also need to link your Google My Business account to your Google Ads account. Earlier, this feature was available only to businesses with multiple store locations and thousands of ad clicks. Since July 2018, however, Google has expanded the service for all large, medium, and small enterprises. Even though you may have a stellar online reputation and get maximum online conversions, ROPO is still going to play a critical role for your business in the future. You will need to start developing your multichannel marketing capabilities today. Hopefully, the pointers given in this short guide will help you implement yours effectively. 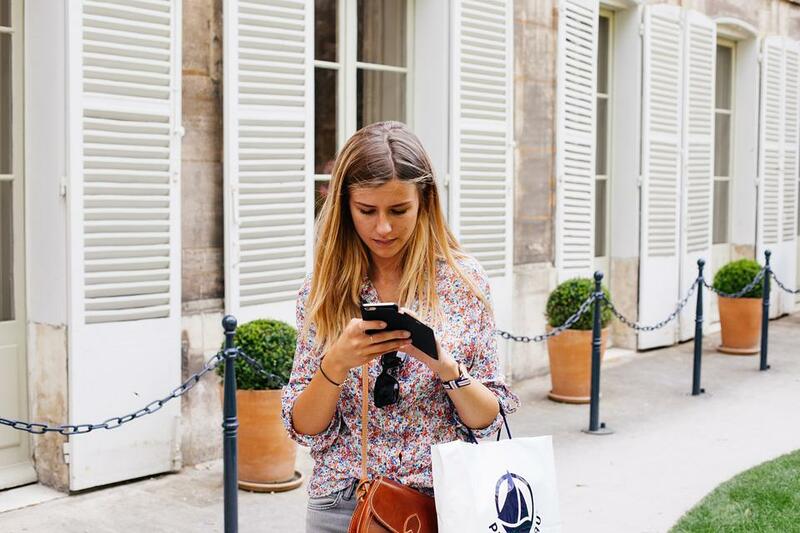 Start executing these ROPO marketing strategies today and make it easier for your consumers to shop, both online and offline. Good luck!